The neurons expressing dopamine-producing enzymes are found in human neocortex, but not in same brain region of chimpanzee or gorilla. The most dramatic divergence between humans and other primates can be found in the brain, the primary organ that gives our species its identity. However, all regions of the human brain have molecular signatures very similar to those of our primate relatives, yet some regions contain distinctly human patterns of gene activity that mark the brain’s evolution and may contribute to our cognitive abilities, a new Yale-led study has found. The massive analysis of human, chimpanzee, and monkey tissue published November 23 in the journal Science shows that the human brain is not only a larger version of the ancestral primate brain but also one filled with distinct and surprising differences. Despite differences in brain size, the researchers found striking similarities between primate species of gene expression in 16 regions of the brain — even in the prefrontal cortex, the seat of higher order learning that most distinguishes humans from other apes. However, the study showed the one area of the brain with the most human-specific gene expression is the striatum, a region most commonly associated with movement. Distinct differences were also found within regions of the brain, even in the cerebellum, one of the evolutionarily most ancient regions of the brain, and therefore most likely to share similarities across species. Researchers found one gene, ZP2, was active in only human cerebellum — a surprise, said the researchers, because the same gene had been linked to sperm selection by human ova. “We have no idea what it is doing there,” said Ying Zhu, a postdoctoral researcher in Sestan’s lab and co-lead author of the paper. 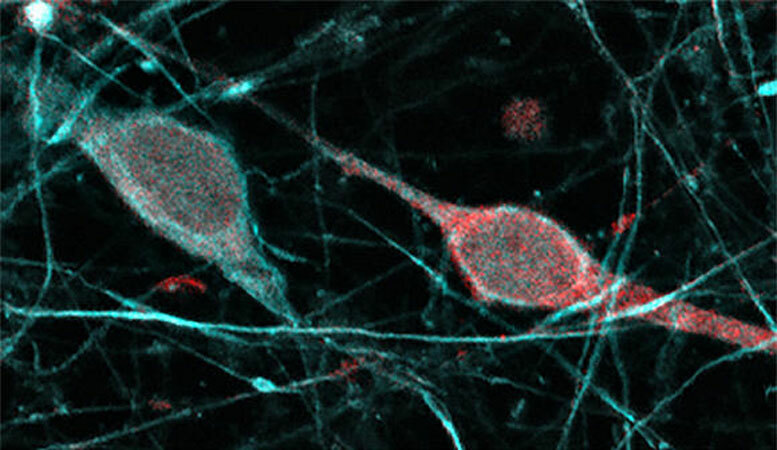 Zhu and Sousa also focused on one gene, TH, which is involved in the production of dopamine, a neurotransmitter crucial to higher-order function and depleted in people living with Parkinson’s disease. They found that TH was highly expressed in human neocortex and striatum but absent from the neocortex of chimpanzees. “The neocortical expression of this gene was most likely lost in a common ancestor and reappeared in the human lineage,” Sousa said. Researchers also found higher levels of expression of the gene MET, which is linked to autism spectrum disorder, in the human prefrontal cortex compared to the other primates tested. Sestan, professor of neuroscience, comparative medicine, genetics and psychiatry, and investigator for the Kavli Institute of Neuroscience, is senior author of the paper. The research was primarily financed by the National Institute of Mental Health. Be the first to comment on "Yale Scientists Show Small Differences in the Evolution of Human Brain"